Valentine's Day is a time of love, togetherness, and of course gift giving. If you want to give that special someone in your life, a present they will both cherish and use, then a wooden watch will definitely delivery on that wow-factor and makes a perfect gift. 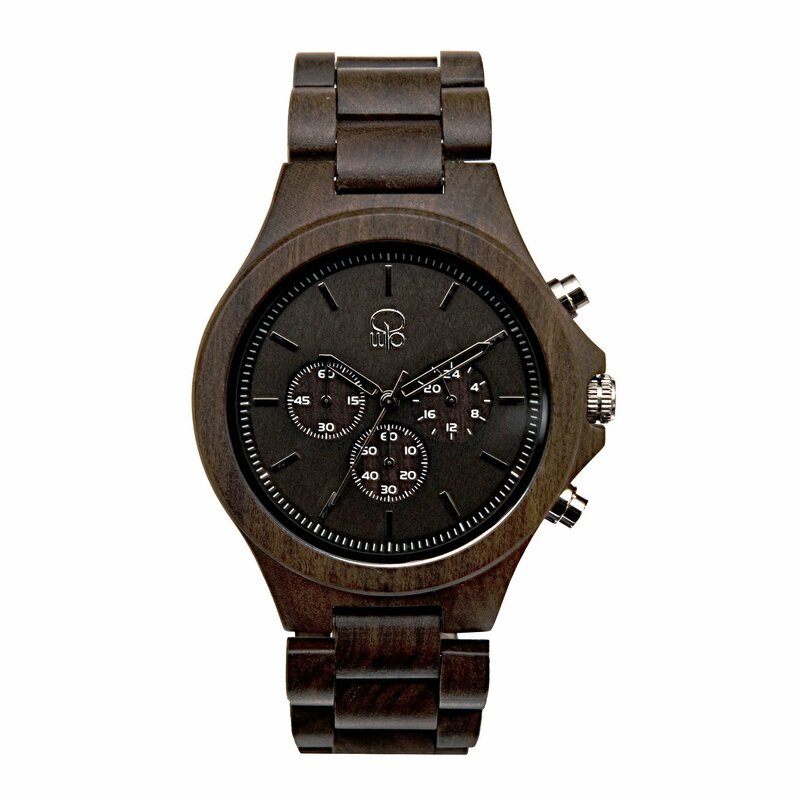 Wood watches have been increasing in popularity over the years, as a unique and stylish fashion accessory. 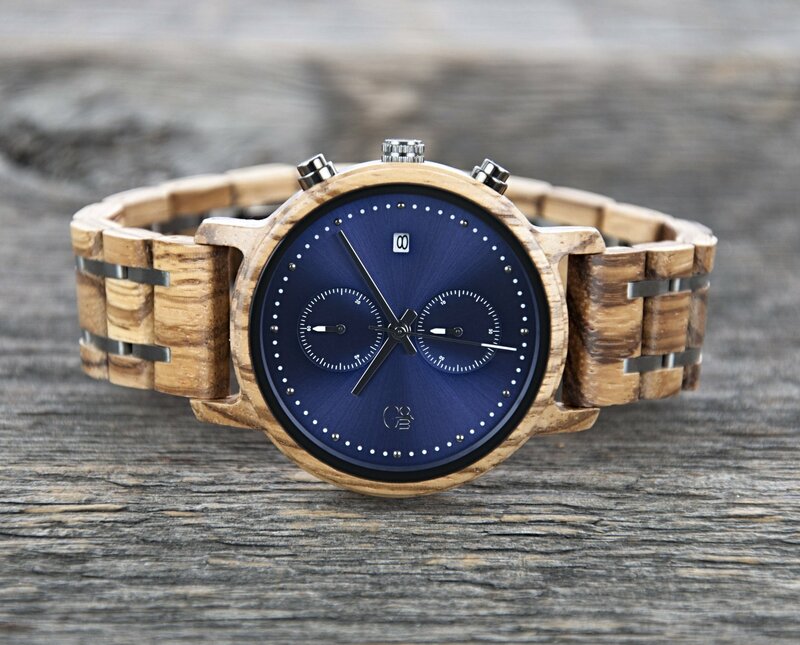 The richness and pattern of the wood grains differ from watch to watch, making each one unique. Here are some of our top best-selling wood watches at Wood In Philosophy. This dark sandalwood chronograph is a favourite both for its familiar form factor and its additional timekeeping functions. 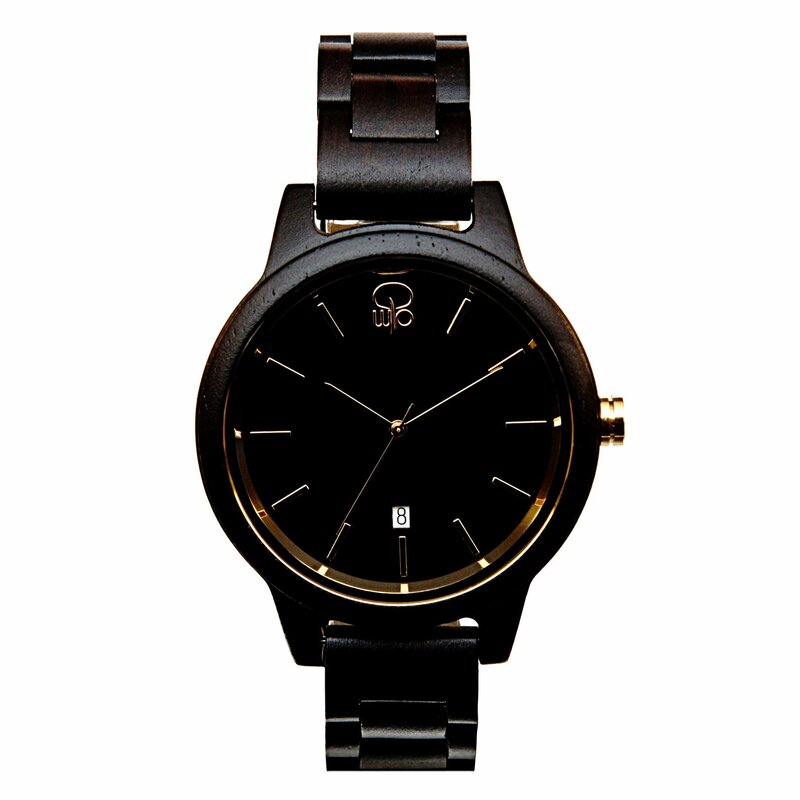 The rich dark sandalwood of this watch is like chocolate. So tempting and rich. 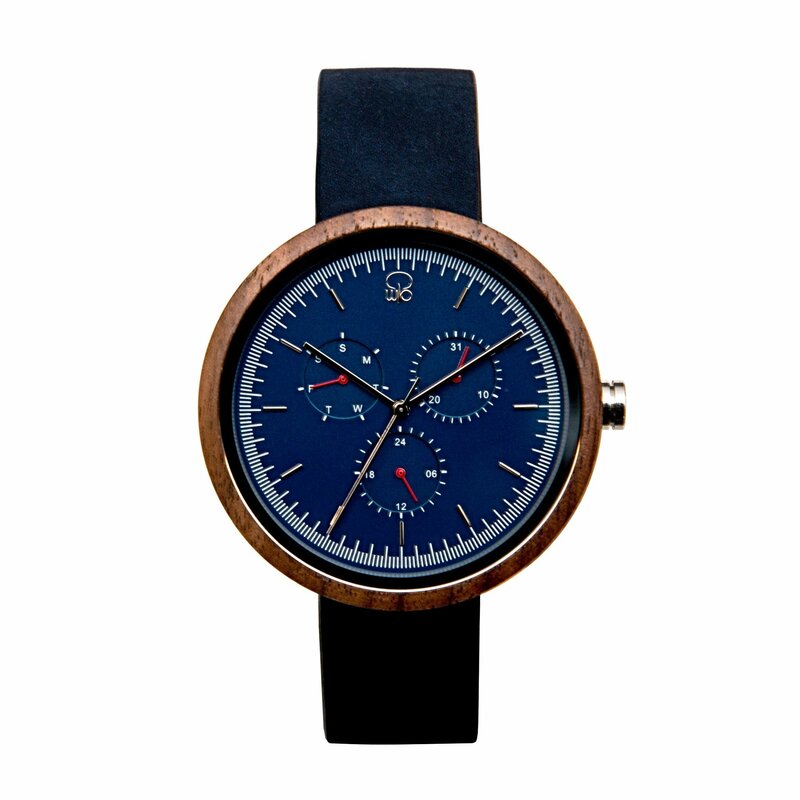 This minimalist dark sandalwood watch will delight those that love attention to detail. From the lug-less case, with an interchangeable leather band, to the gunmetal face, paired with gunmetal hour markers, it's sure to please. Named after the second deepest blue hole on this planet, the midnight blue dial of this multi-functional black walnut watch, will draw you in and have you gazing into its depths. A modern chronograph with a sleek form-factor. The marine blue metallic gradient finish on the face is striking against the zebrawood case. A matching zebrawood band, reinforced with steel accents completes the look. 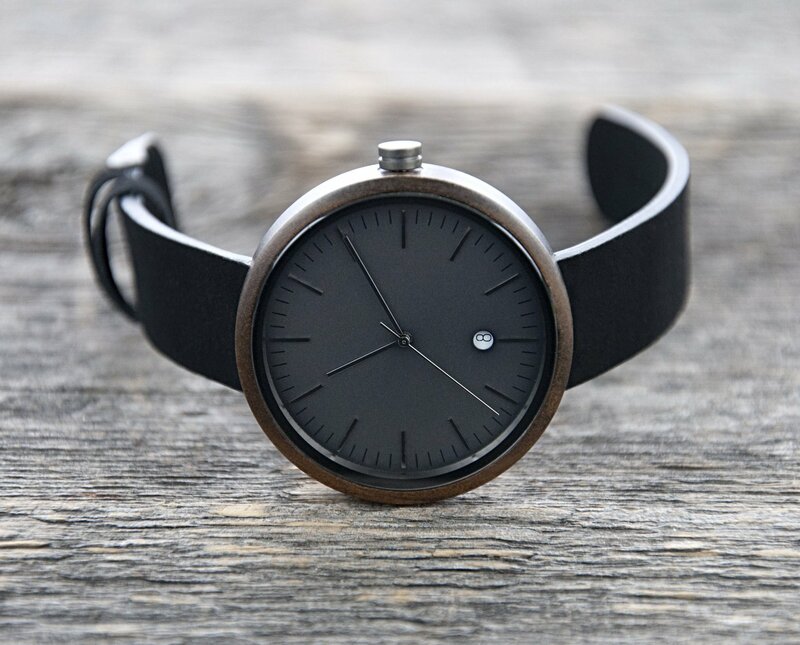 Classic forms are re-imagined with clean lines for this minimalist all wood watch. Ebony wood combined with 18k gold plated details, and a Swiss Ronda movement adds a touch of class and elegance.